Activa Contracts is sponsoring a new initiative with its risk management partner, Lightfoot, to recognise the safest drivers among its customers. The ‘Activa Contracts Lightfoot Drivers’ League’ rewards one driver each week from customers using Lightfoot in their vehicles. 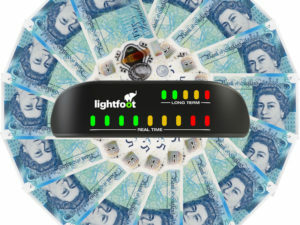 Each week’s winner must reach ‘Elite Driver’ status – Lightfoot’s gold standard for performance – by achieving a Lightfoot score of 85% or above. Currently more than 2,200 drivers are eligible for the weekly draw. The new prize follows Activa Contracts’ announcement at the end of 2018 that it would continue its sponsorship of Lightfoot’s Fleet Manager of the Week prize, designed to reward managers of safer fleets.